Apple users generally believe that macOS and iOS are completely protected from viruses. However, security incidents have begun to occur on Apple platforms more often. How do you know if your Mac has a virus? How can you remove adware on a Mac? How can you avoid catching a Mac pop-up virus? In this article, we will answer the most common questions about Mac viruses. Do Apple computers get viruses? How do you know if your Mac has a virus? How do Macs get viruses? How to avoid getting Mac malware? How to remove adware from a Mac? The time is past when Apple operating systems were completely protected from malicious programs. The popularity of macOS is growing, and the number of respective malware and adware is also increasing, putting the Mac users at risk. Today Apple users face the problem of a large variety of advertising programs, pop-ups, and trojans. The purpose of most viruses is to obtain personal data for profit. Other Mac pop-up viruses earn money by generating traffic, displaying a variety of advertisements, and redirecting the browser to malicious and misleading websites. Advertising banners and pop-ups on pages where they have never been before. New links in plain text, which redirect to advertising sites. The browser opens unexpected pages, suggests updates of a video or flash player, and suggests to check macOS for viruses. The appearance of new applications that you did not install. Apple regularly monitors the emergence of new viruses, and if a vulnerability exists, for example, in applications from third parties, Mac simply will not allow you to install the app. That’s why most Mac viruses masquerade as completely safe utilities- for example, as Adobe Flash Player. 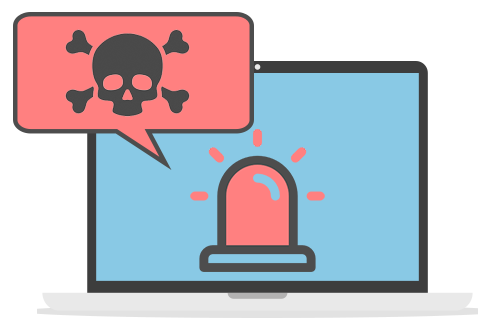 Before diving into the explanation of how to remove malware from a Mac, we will consider the top most common viruses on a Mac and how they are infected. The explosive growth in popularity of crypto-currencies has led to an increase of trojan-miners for macOS, one of which is DevilRobber. In most cases, infection occurs as a result of uncontrolled downloads of malicious software, usually contained on information sites about crypto-currencies. The principle of DevilRobber is like a “farmer.” It turns an infected computer into a device for issuing virtual money, using a video card and a host processor. It even can steal cryptocurrency wallets. The signs of infection are a rapid discharge of the battery and system freezes. There are many viruses that accompany an offer to upgrade Adobe Flash Player on a fake website. If you download the file by link and proceed to unpack it, there is a big chance that you will install malware, which can send the hackers information from your Keychain. If you are using Adobe Flash Player, check for updates on the official plugin site only. Do not download it from other sites. If you find such files in your folders, we recommend that you change passwords wherever you can as soon as possible. This Trojan infects Mac computers, bypassing system protection and dodging anti-viruses. The malicious program displays a notification prompting you to install a fake macOS update. It does not allow you to do anything until you click to update. The Python code that runs it can theoretically allow cybercriminals to extract iMessage messages, retrieve Find My iPhone data, intercept passwords, record data with the microphone and camera of your Mac, and take screenshots without your knowledge. The Fruitfly virus remained unnoticed for several years. The virus had rich possibilities, but it was not clear how actively it used them. The main purpose of FruitFly was to spy on user actions. It could “peek” through the webcam, take screenshots, register keystrokes of the keyboard. The program also could intercept mouse cursor and keyboard control and warn hackers when the computer owner returned to work. Apple released an update to protect Macs from the virus’ further distribution, and antivirus programs can now identify this malware. The researchers were unable to determine the source of FruitFly, who it could be profiting, and how the virus could be caught by the victims. Redirect you to trading domains or streaming sites for movies with weak SSL certificates. Ask you for installation of fake Safari updates. Direct you to fraudulent sites with technical support. Show annoying adware pop-ups on your Mac. Directing the user to a fake technical support forum for Safari and fake updates are the most popular ways of getting a browser-virus. So please, always check the domain of the URL. Even if the notification itself may seem identical to the original, a random address of a shadow URL, consisting of several numbers and symbols, will tell you that the update is not supported by Apple. Also, you should check the list of browser extensions to make sure that there are no suspicious extensions installed on your browser. Megabackup is a tool that helps users to create a backup of his or her information and store it in cloud-based storage. Unfortunately, the program is also well-known for spreading adware, which is aimed at increasing online traffic or serving a variety of goals, all of which are not in favor of the user. After installation, Megabackup starts to generate various alerts and notifications, claiming that you have “unprotected” files and trying to persuade you that your data is unprotected. Also, it can insert ads into the sites you visit and show you pop-ups, ads, banners, hyperlinks, and so on. The only way to remove the adware is to uninstall Megabackup. This virus is similar to the Estonian Trojan DNSChanger, which infected millions of devices in 2012 and was used to steal personal data. This virus can take control of Internet traffic passing between the user’s device and the external network. This virus changes the DNS server to which the computer is connected. Therefore, in order to check whether the system is infected or not, you need to open the DNS settings and make sure that they have not changed it to 82.163.143.135 or 82.163.142.137, which is the address of malware. How to Avoid Getting Mac Adware? Do not download applications from sources with a dubious reputation. The most secure application store, where each product is checked by professionals, is the Mac App Store. Try to install software from the App Store or if it’s not possible, make sure that you downloaded the app from a trusted source. Do not visit unreliable sites, which have a sloppy interface, an excessive number of advert units, clickable headers and inappropriate content. Most often, such websites spread viruses or they are infected themselves. Regularly update macOS or even better, enable the automatic updating of the operating system. Apple usually tries to get rid of errors, vulnerabilities, holes, gaps in the code of programs very quickly. Avoid downloading applications from insecure sources. Do not use unlicensed software. Turn on the standard firewall in the operating system. Use encryption of FileVault data. It will help you to secure your hard drive and will be useful if someone steals your MacBook. Regularly make a backup copy using Time Machine. The Backup will not protect you from viruses, but it will completely save you if your computer suddenly fails. Disable the automatic opening of a file after it is downloaded. By default, many browsers open files immediately. For security reasons, it’s better to disable this feature in your browser settings. Do not install programs that you did not ask to run. If a window appears asking you to install an application that you do not know, do not give permission. Do not open emails and the attached files if you do not know who sent them. Such messages are most often used to spread viruses. How to Remove a Virus from Mac? Following the rules above will protect your Mac from most viruses. But if you have already identified an issue and see annoying pop-ups, don’t worry. We will explain how to remove adware from a Mac. You can try to remove a virus manually. For this, you have to find all the supporting files of the malware software and delete them. But you should understand that the programs may spread out their service files in different hidden folders on your system. Thus, searching for all these files manually seems to not be a good idea. That’s why we recommend to entrust this task to App Cleaner & Uninstaller. Launch the uninstaller and select the malicious program from the list of apps, extensions or remains. In the right section of the window, the uninstaller will display all the related supporting files (logs, cache, user data, binaries, .pkg, executable and so on). Click the Uninstall or Remove button. The uninstaller will remove all these unnecessary files to the Trash. Empty your Trash and reinstall your Mac. After these steps, no advertising banners, pop-up windows and redirects in your browser will disturb you. Thus, in addition to helping you to clean up your disk, App Cleaner & Uninstaller can be the best virus protection for Mac as well. Now you know how most users get viruses in their Macs and how to avoid getting malware and adware. Follow the tips below to protect your Mac and keep it free from viruses. 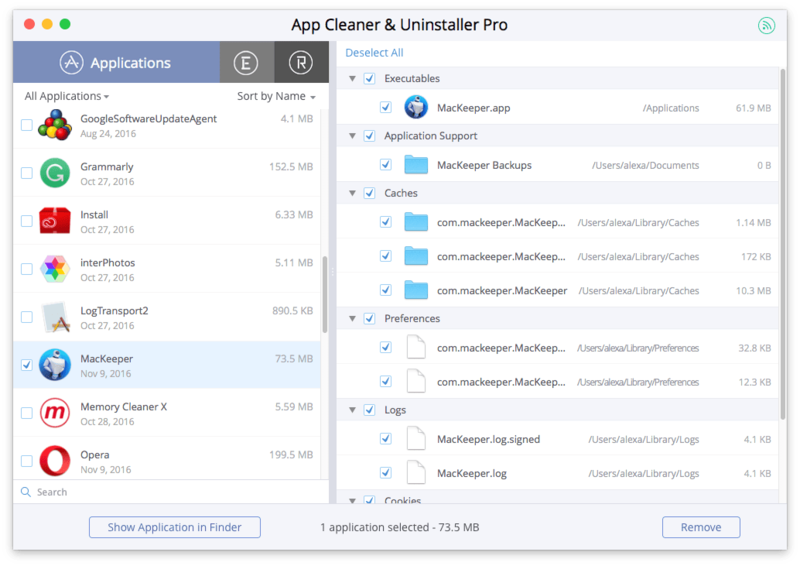 And whenever you have any suspicion of having a virus, launch App Cleaner & Uninstaller to check whether you have any unwanted apps and remove them.